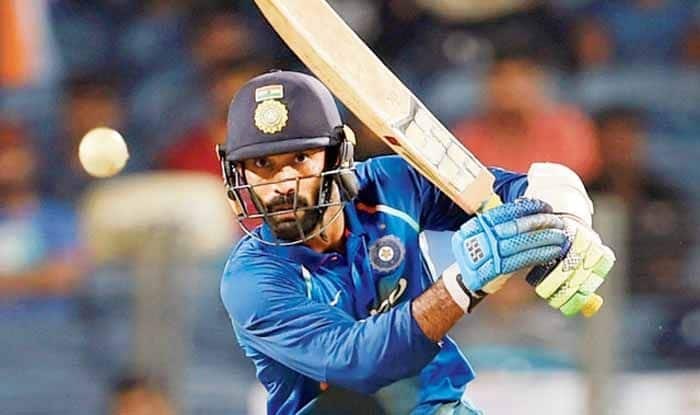 The exclusion of Dinesh Karthik from the home series against Australia was one of the talking points heading into the five-match ODI series that concluded on Wednesday. It remains so even as the series has been done and dusted. Karthik, who has perhaps been playing his best cricket since last year, was left out of the ODI squad, raising eyebrows over team’s selection ahead of the upcoming World Cup. His absence was felt in the middle-order as India’s middle order failed to impress – baring the first couple of games of course – en route to losing the series 2-3. And fans were quick to show their frustration on Twitter after India’s latest, 35-run defeat. “Dinesh Karthik has the best average among all the players India tried at no.4 post 2015 WC. But BCCI’s love for Rayudu is something I really don’t understand,” one person wrote. “I guess Team India @BCCI is doing grave injustice to @ajinkyarahane88 and @DineshKarthik both players deserve a chance instead @RishabPant777 and @klrahul11 who didn’t justify their selection,” another one wrote. Something for the selectors to ponder upon?